Rebel Force Radio: Star Wars Podcast | Listen Free on Castbox. 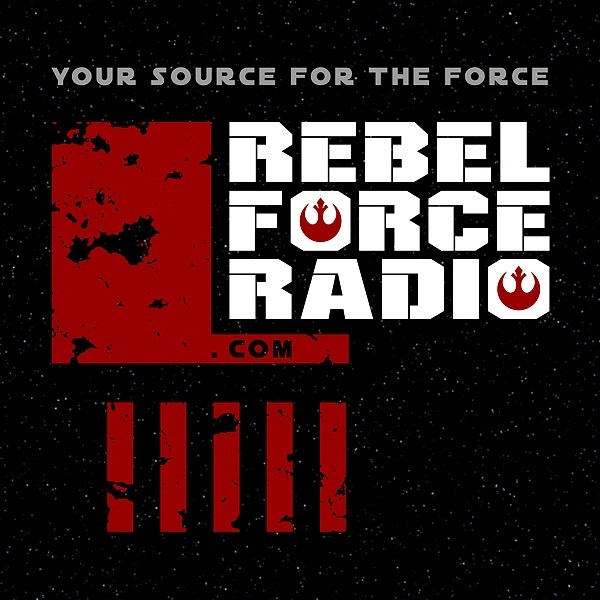 Long-running, award-winning STAR WARS program hosted by podcasting veterans Jason Swank and Jimmy Mac, Rebel Force Radio provides STAR WARS information and entertainment. From the Classic Trilogy to the Prequels... From THE FORCE AWAKENS to ROGUE ONE to SOLO...Rebel Force Radio puts you on the front lines of fandom. Plus, plenty of CLONE WARS and REBELS too! Featuring celebrity guests, news, opinions, comedy, reviews, contests, and more. Our Star Wars Celebration coverage continues with this breakdown of The Mandalorian panel featuring Jon Favreau, Dave Filoni and the cast of the upcoming streaming series. Paul Bateman is back! We talk about everything that happened at the panel along with all the reveals, teases, clues and more. Plus, more Episode IX as we get the Bateman Breakdown of The Rise of Skywalker teaser trailer. On day three of STAR WARS CELEBRATION CHICAGO, RFR Patreon members gathered on Chicago’s South Side at Alulu Brewery for an exclusive live episode of Rebel Force Radio. Rancho Obi-Wan’s legendary Stephen J. Sansweet stops by to talk about the history of Star Wars Celebration and the challenges he faced as a member of the Lucasfilm planning committee in charge of the first-ever event back in 1999. It’s always a “celebration” of laugh and song when Steve joins us. Worlds collide! Puppet Lando shared the same space with the real Lando, Billy Dee Williams for a whirlwind photo-op. We provide a play-by-play recount of what was our most insane moment at Star Wars Celebration. Then, Puppet Lando himself joins us to read through the amazing Star Wars-inspired menu provided by Alulu Brewery. We review some hot new STAR WARS headlines including news that J.J. Abrams met with George Lucas while developing the script for THE RISE OF SKYWALKER. Plus, we react to the return of Emperor Palpatine in Episode IX and how it may affect the legacy of THE LAST JEDI. Bob Iger says that Star Wars films will be placed on a hiatus and we try to decipher what that really means. Star Wars artist/entrepreneur Kevin Liell joins us along with audience feedback about THE RISE OF SKYWALKER trailer. The blue milk was spiked by Greedo and flowing all night long at Alulu. Join us for the party! More Star Wars Celebration Chicago coverage is coming from us soon including RFR LIVE in CHICAGO from REGGIE’S. Jason Landau Yep. Just like in the U.S. government, if a President becomes tyrannical, the military has a right and DUTY to remove the tyrant from office, by force, if necessary. So disappointed. The podcast is so boring and goes all over the place. This show is a staple in my existance. I just realized why the Family Guy Star Wars parody was called Blue Harvest. The best Star Wars podcast in the galaxy! I listen to you guys just about every day, and I can't get enough! I love listening to you guys talk about the wars, and enjoy the insight of the cast and crew you guys are able to bring on the show. Thanks for all you do to bring the community together, and keep up the great work! I've loved the show for a long, long time (ago), but their recent comments about woman in the fandom is just so disheartening. I love your show. I love your spinoff shows. I love almost everything you guys have been a part of, but I can no longer support you. Hopefully, the hosts see that it's not just a bunch of progressive crybabies protesting their show. It's also long time fans who understand that Star Wars put a blaster in Leia's hands and said to little girls everywhere: "This is for you too". Coleman McClung uhh, what? I've never heard anything from the hosts in regards to what you're referencing. Which episode? Let me know so I can start crying and writhing on the ground too. A passionate group of guys who respect all sides of the fandom! Always thoughtful (and respectful) discussion about anything SW! The reason Holdo didn't share the plan was she feared exactly what happened when Poe found out on his own. The plan immediately was carelessly leaked to someone who could use it against them. When Poe says she is on a need to know basis that is RJ reminding us that sometimes the plan is best protected by fewer people knowing about it. The fault wasn't in Holdo not sharing the plan with Poe but with Poe not being capable at that point in respecting command and following orders. We'll see how he feels later, when he is in charge and making the hard calls, when a subordinate doesn't respect his command and causes one of his plans to fail leading to so much death. I love the show! It wasn’t that long ago that we were never going to get anymore Star Wars. Last Jedi had its issues but I am still excited about getting new Star Wars. Keep up the great work guys! Speaking of the Kylo Challenge, where was the evidence on his torso of having nearly been blown in half by Chewbacca? 'Let us take you back to the experience of The Last Jedi' Please no...once was enough! The film was awful...script, direction, casting, etc. Not even editing by Marcia Lucas could save it!